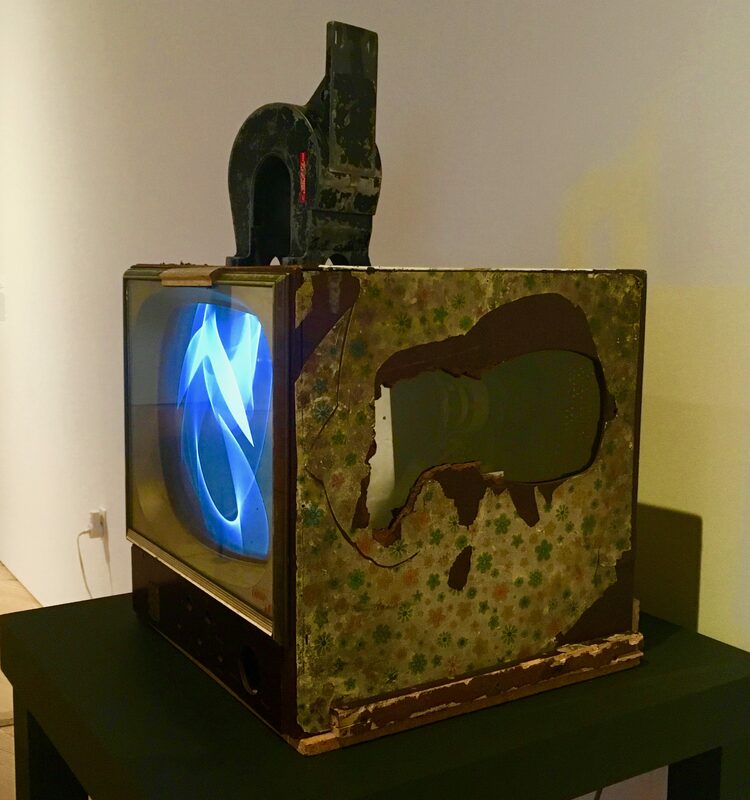 Magnet TV (1965) is an early example of Nam June Paik’s “Prepared Televisions,” works in which he altered the television’s image or its physical casing. This work consists of a seventeen-inch, black and white set with an industrial-size magnet resting on top of it. The magnetic field interferes with the television’s reception of electronic signals, distorting the picture into an abstract form that changes when the magnet is moved. 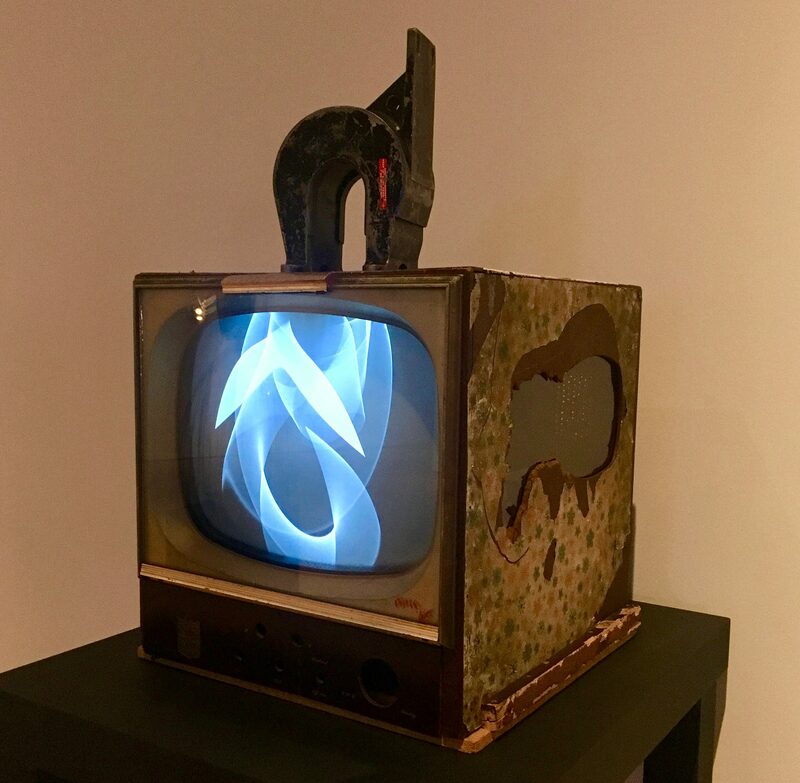 Paik’s radical action undermines the seemingly inviolable power of broadcast television by transforming the TV set into sculpture, one whose moving image is created by chance, and can be manipulated at will. Through his alteration of the television image, Paik challenged the notion of the art object as a self-contained entity and established a process of instant feedback, whereby the viewer’s actions have a direct effect on the form and meaning of the work.